If you are partially, legally, or totally blind, you may be able to qualify for Social Security disability benefits. The Social Security Administration (SSA) details how significant your vision loss must be for it to qualify as a disability. Your vision loss must be quite significant, and if you have good vision in one eye, you may not qualify for disability benefits. To meet Social Security’s listing for loss of visual acuity (Listing 2.02), the vision in your better eye, with correction, must be 20/200 or worse. This is called legal blindness, or statutory blindness, even though it’s only partial blindness. Total blindness (the absence of light perception in both eyes) qualifies automatically for disability benefits. If you have one eye with vision worse then 20/200 and one eye with better vision than 20/200, you won’t qualify under this listing. If you have poor peripheral vision in addition to poor visual acuity, you might be able to qualify under the SSA’s listing for loss of visual efficiency (Listing 2.04). Your percentage of visual efficiency combines your central visual acuity and peripheral vision capabilities. If you don’t qualify for disability benefits under Social Security’s requirements for poor visual acuity, decrease in visual fields (peripheral vision), or a combination of the two, as the next part of the disability determination process, the SSA is required to consider the effect of your vision loss (and any other symptoms) on your capacity to perform daily activities and your regular work. If you can’t do your regular job, the SSA will determine whether there is any other kind of work you can be expected to do considering your prior job experience, your age, and your education. In some states, legally blind applicants receive a higher state supplement to their Supplemental Security Income (SSI) payment than nonblind disabled people. Social Security Disability Insurance (SSDI) claimants who are legally blind can work and receive up to $2,040 per month (in 2019) and still receive disability benefits without the work being considered substantial gainful activity (SGA) by the SSA (this is higher than the limit of $1,220 per month that applies to nonblind disabled workers). Also, the SGA limit of $2,040 doesn’t apply to SSI claimants (they do have an SSI income limit, however, like all SSI claimants). 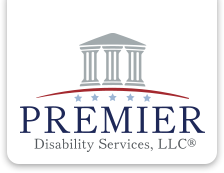 The SSA grants immediate SSI benefits to those with severe disabilities who are likely to be found eligible for benefits. If you suffer from total blindness (that is, no light perception in both eyes), you may qualify for six months of “presumptive blindness” benefits while you are waiting for your decision. How Does Drug and Alcohol Use Affect a Disability Claim? Sometimes the Social Security Administration (SSA) can use the fact that you drink or use drugs as a reason to ignore your disabling symptoms and limitations and deny your claim. In other cases, however, it is possible to get disability benefits even if you drink or use drugs. Whether drug or alcohol use will affect your eligibility for disability benefits hinges on whether it contributes to your disabling medical condition. If your drug or alcohol abuse is deemed a material contributing factor to a medical impairment, you will not be awarded disability benefits based on that impairment. Materiality is determined by asking these questions: Is the medical condition for which the claimant alleges disability exacerbated – or caused – by alcohol or drug use? Would the medical condition improve enough not to be disabling if the claimant stopped using drugs or alcohol? If the answer to these questions is yes, your drug or alcohol use will be considered material to the alleged impairment, and you may be found ineligible to receive disability benefits. For example, if a claimant has seizures, and the records indicate substance abuse, a claims examiner or judge (depending on the level the claim is at) will question what role is played by the claimant’s use of substances. If the SSA thinks that a claimant’s seizure condition would medically improve if the substance use came to an end, then the substance use would be labeled as material to the seizure condition. As a result, the claimant could not be awarded benefits on the basis of seizure disorder. If, however, the conclusion was made that the claimant’s frequency of seizures would continue regardless of whether or not the alcohol or drug use was discontinued, such use would be considered immaterial. It does not matter whether past alcohol or drug abuse caused the medical condition. Another example: a claimant applies for Social Security disability based on liver dysfunction and alcoholic hepatitis. The claimant has a history of alcohol abuse, some of it recent. Will the alcohol abuse harm the claimant’s disability case? It depends on whether or not it is currently material to his condition. It doesn’t matter whether the alcohol abuse caused the liver damage in the first place. What matters is whether the disabling condition would disappear if the claimant stopped drinking. If the claimant’s liver damage is so pronounced that ceasing alcohol use completely would make no difference to the claimant’s medical condition, then alcohol abuse would be considered immaterial, or irrelevant, to the case. If, however, ceasing the use of alcohol would result in medical improvement, alcohol abuse would be deemed material to the disability case, and the claim would be denied. This evaluation process is called a drug and alcohol abuse (DAA) determination. Of course, if the claimant has another medical condition, one that’s severely debilitating and completely unrelated to the one caused by or exacerbated by drugs or alcohol, he or she could get disability benefits based on that condition, regardless of drug or alcohol use. Claimants whose disabling conditions are psychiatric or emotional in nature (for example, depression or anxiety) will have a harder time proving that their alcohol or drug use is not a contributing factor to their mental impairment. Most psychologists and psychiatrists believe that even moderate alcohol use contributes to depression. Ischemic Heart Disease. To qualify for disability benefits, you must meet one or more of the following: Coronary artery disease (this requires an angiography, medical imaging, and either an exercise test or medical documentation showing why an exercise test would be too dangerous to your health), three distinct ischemic episodes, with each of them needing revascularization (or in which revascularization is not possible), or an exercise test which shows that you fall within the SSA’s guidelines for complete disability. Recurrent Arrhythmia. To qualify for disability benefits based on recurring arrhythmias, the medical evidence must show that the condition is not reversible and that it results in near-syncope or syncope. Even if your heart condition does not meet one of the Listings above, you may still qualify for disability benefits if your impairments have – or are expected to – put you out of work for one year or longer. The Social Security Administration will consider whether your conditions prevent you from returning to your past work or any other work available in the regional or national economy.